S. Africa's Springbok Casino is celebrating Halloween with Prank Videos -- and free spins on a Halloween slot! With Halloween just around the corner, South Africa's Springbok Casino has just published a collection of Halloween pranks. Until Oct. 31st, the South African casino is giving you 25 free spins on Count Spectacular with no deposit required! "I don't know why it's so funny watching people get scared when we know it's a hoax," said Springbok's manager, Daniel van Wyck. “But it sure is, isn't it?!" In one of the videos, a driving instructor on the first day of her new job is pranked by a professional motorsport athlete and women's racing champion posing as a nerdy first-time driver. 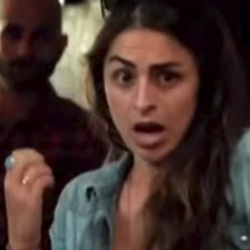 In another classic video featured on the Prank Time page at Springbok, a coffee shop goes all-out and decides to give its clients a little scary wake-me-up. They hire a team of actors and stunt people to make it seem like one of the cranky customers has telekinetic powers. A fake wall, remote-controlled chairs and tables, spring-loaded books and excellent acting leads to people gasping, running outside screaming, and recording videos on their smartphones at the same time. Until Halloween, you can take 25 free spins on Count Spectacular, one of Springbok's most popular slot games from Realtime Gaming. Count Spectacular is a vampire-themed slot game with an animated Count as an expanding Wild. In its bonus round, players choose either 12 Free Games with 3X prizes or 4 re-spins holding Wilds on the outside reels. Five Count symbols wins the game's progressive jackpot. Springbok has hundreds of games from Realtime, all played in Rands. Customer service at South Africa's most popular online casino is available in either Afrikaans or English. A free Android App is available for smartphones and tablets. 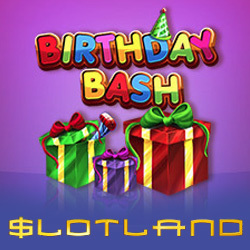 Slotland is celebrating its 20th birthday with a new slot called Birthday Bash! Get your $15 freebie to try it! This month, Slotland celebrates two decades of innovative online gaming with their all new Birthday Bash slot. Long before smartphones and tablets, Slotland was one of the very first online casinos in the world. All players are eligible for a free chip of at least $15, plus match bonuses for a week. "What were you doing 20 years ago?" said Slotland manager Michael Hilary. "If you were playing online slots then you were one of the very first to be playing casino games on your computer!" The festive new Birthday Bash has greeting cards, party hats, balloons, candy, flowers and cake on its reels. You can hold up to four symbols for the next spin so high value symbols like the Fireworks can pay out again and again. The scatter is a Birthday Present and when it appears on the middle reel it expands to cover the entire reel. This triggers a bonus game where players choose from fifteen 'pick-me' buttons that reveal bet multiplier prizes. "It has been an amazing ride. The support guys and gals are so professional and always have the right answers." Said Ron W, who has been playing since 1999. "I love the games. I remember when it was limited to around 10 games or so, but it was always fun." Slotland will be running celebratory bonuses throughout the month, and are also adding another new game to its extensive collection of unique slots and video poker games. Trip to Japan will be a 5x4 slot paying tribute to the unique culture of Japan and the mystery of the beautiful Land of the Rising Sun. It will have a Wild as well as a Double Wild and a bonus game that awards up to 5X multipliers.